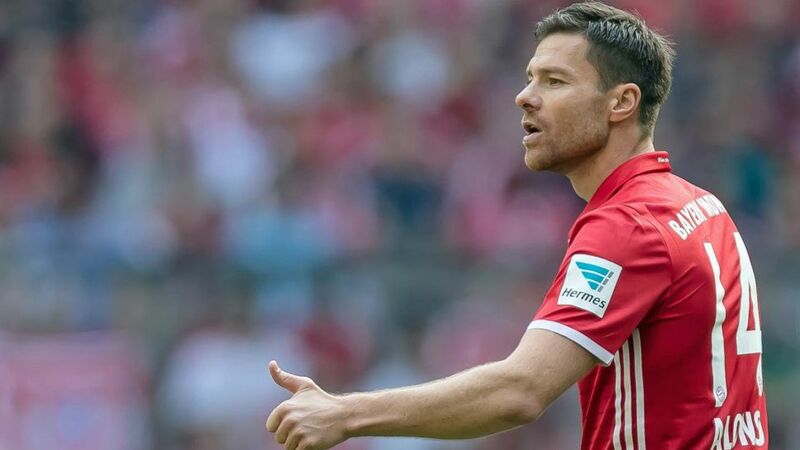 FC Bayern München midfielder Xabi Alonso has enjoyed an illustrious playing career spanning 18 years, and with his retirement now announced, bundesliga.com takes a look back at one of the game's footballing greats. Let Xabi Alonso lead you to Official Fantasy Bundesliga glory! Sign up the Spanish legend before it's too late! The 35-year-old only joined the Bundesliga ranks in summer 2014, but has left an indelible mark on Bayern and the German top flight as a whole. In 2002/03, Alonso led boyhood club Real Sociedad de Futbol to within two points of a first La Liga title in 21 years. He brought the glory days back to Liverpool FC, winning the UEFA Champions League, UEFA Super Cup, FA Cup and FA Community Shield. The Tolosa native then repeated the trick at Real Madrid CF, and retired from the international scene as a FIFA World Cup and two-time UEFA EURO champion with Spain. Unsurprisingly for a man who has champion spirit in his DNA, the title-winning trend has only continued at Bayern. Having surpassed Spanish compatriot Thiago Alcantara's 177-touch record with a best-mark of his own (204) on only his fifth Bundesliga appearance, Alonso went on to play a pivotal role in Bayern's record title wrap of 2014/15. The midfield great's magnetic ball skills and world-famous passing range helped Bayern clinch the domestic double a year later, and have proved as crucial as ever to the 25-time Bundesliga champions since they kicked off the 2016/17 campaign with a resounding 6-0 victory over SV Werder Bremen in August. With postage-stamp strikes against Bremen on Matchday 1 and FC Ingolstadt 04 on Matchday 3, Alonso helped Carlo Ancelotti become the first Bayern strategist since Otto Rehhagel in 1995 to win his first six games as coach. Taking his Bundesliga tally to five goals against RB Leipzig on Matchday 16, he is now on track for a hat-trick of Bundesliga titles. It would be another fitting milestone in an exemplary career.